Before joining Brown Sims most of Ms. Eckert’s work focused on the defense of Fortune 50 companies and municipalities in personal injury, products and premises litigation. She has tried cases to verdict as both first and second chair. Ms. Eckert enjoys working with her clients on early case assessment to ensure both favorable and cost effective results. Ms. Eckert proudly serves on the board of the Texas Women lawyers and is a Texas Bar Foundation Fellow. She is also a passionate Texas Longhorn fan. She received a Bachelor of Arts degree in 1992 from The University of Texas at Austin and received a Juris Doctor in 1998 from South Texas College of Law. 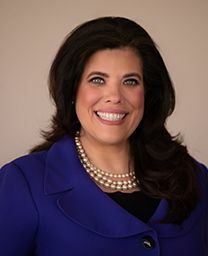 She is a member of the State Bar of Texas and the Houston Bar Association.